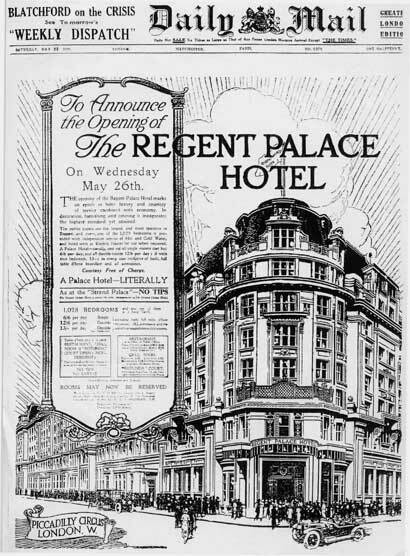 This image below advertises the opening of the Regent Palace Hotel on May 26 1915. Lyons took the whole of the front page of the Daily Mail to announce this. Price of rooms was from 6/6 a day (single) to 13/- a day (double). 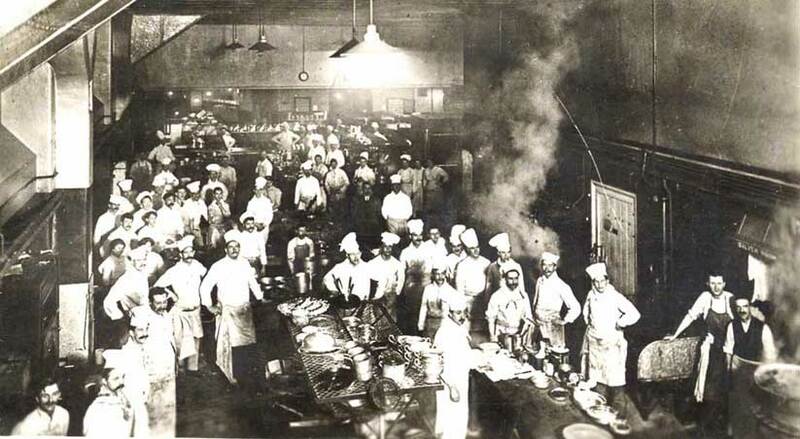 Note the Telegram address highlighting the hotel's policy on tipping.